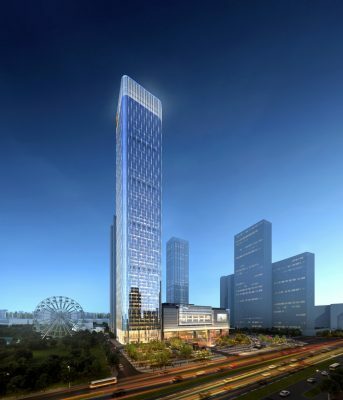 CHICAGO, December 19, 2018 – The globally renowned architecture firm Goettsch Partners (GP) has announced the start of construction for Changchun CR Center, a major mixed-use complex with a striking 300 meter (980 foot) tower in Changchun, the capital city of China’s northeastern Jilin Province. Designed by GP with international architecture and design firm Lead8, the project represents the third collaboration of the two design firms with developer-owner China Resources Land Limited, the previous two efforts leading to new city-making projects with multiple buildings and significant civic and economic impact in the Chinese cities of Wuhan and Hangzhou. In Changchun, GP is designing the main tower, and Lead8 is designing the retail and entertainment center. 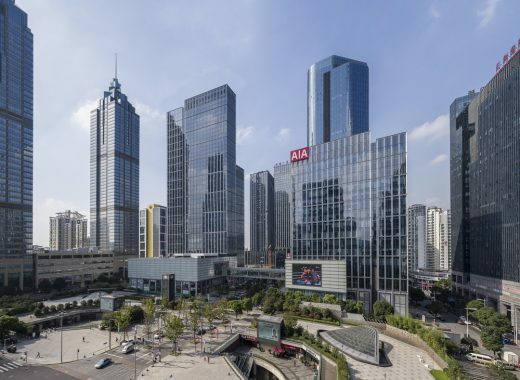 Plans for the development of the eight-acre (34,000-square-meter) parcel in Changchun comprise multiple towers, including office space, high-end residential units, and fully furnished serviced apartments. In addition, new “signature spaces,” including a 66th-floor observation deck at the tower’s luminous crown, are designed to draw visitors to the site overlooking the adjacent Mudan Yuan park and lake. The Changchun CR Center will be anchored by an innovative, 1.8 million-square-foot (170,000square-meter) retail and entertainment complex. 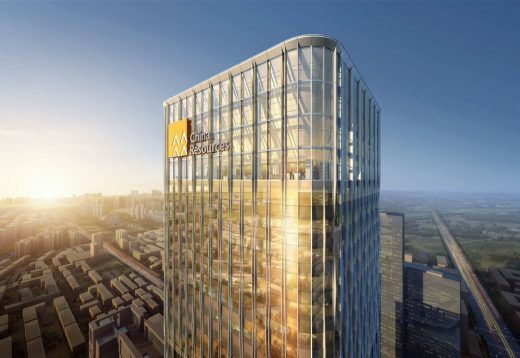 CR Land will occupy the 63-story, 1.5 million-squarefoot (140,000-square-meter) office tower with its own regional headquarters, with direct connection to the subway. 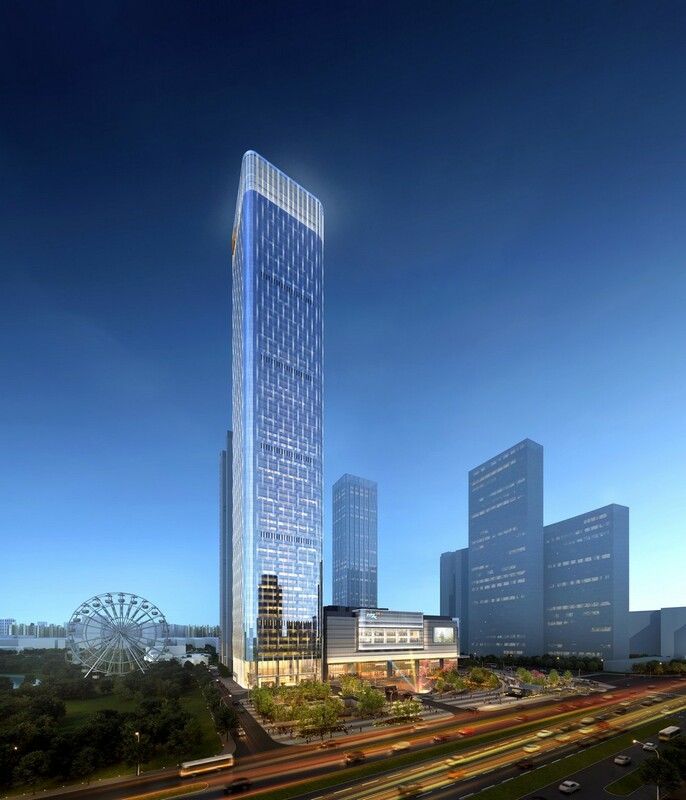 Slated to open in 2021, the complex and signature tower for Changchun CR Center will bring a distinctive façade and a highly visible illuminated crown to the city’s skyline—a bold statement that will define a landmark in the developing metropolitan area, which is home to about half of the region’s total population of 7.7 million. 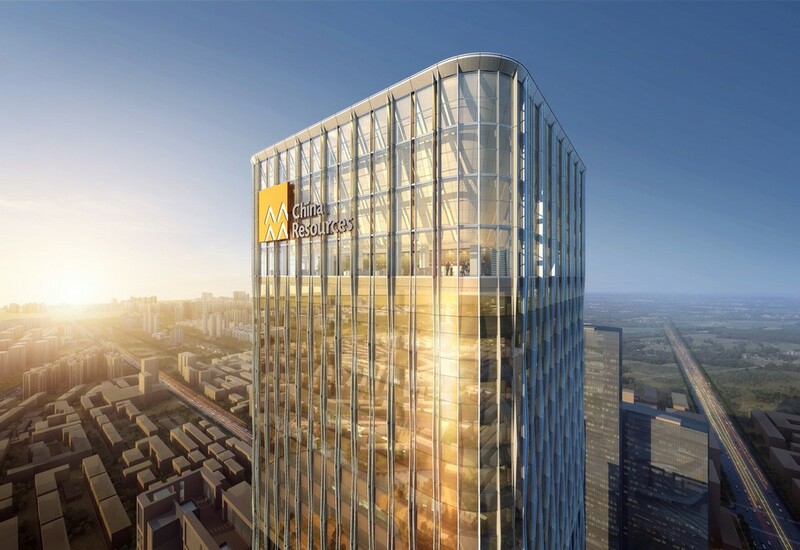 Anchoring the development at the tower’s base is the MixC RDE Center, Lead8’s innovative concept for China’s popular MixC brand: a retail and entertainment complex that elevates the traditional shopping center. Inspired by Changchun’s culture and influenced by the temperate climate, the dynamic, experiential lifestyle center features an integrated retail street where visitors will enjoy luxury brand stores, pop-up exhibitions, and fine-dining functions year-round. The glass façade establishes a visual connection with the street, enhancing the MixC RDE Center’s impact on Changchun’s urban life. 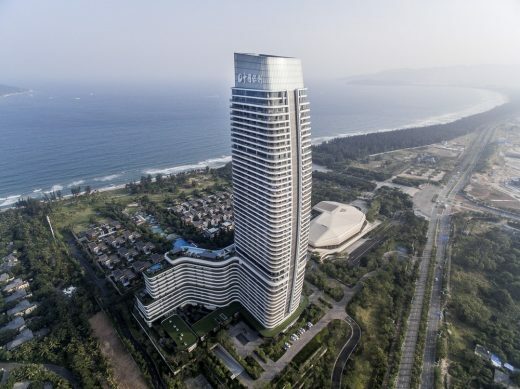 The third major project and another large-scale collaboration for GP, Lead8 and China Resources Land, Changchun CR Center reflects the design prowess of the two architecture firms and a highly successful tripartite, transcontinental partnership. For more information on Changchun CR Center and on Goettsch Partners (GP), contact C.C. Sullivan.